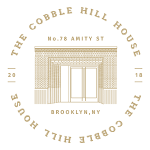 Whether you’re embarking on a journey of discovery by visiting a favorite store or outstanding local eatery, Cobble Hill could not be in a better location. 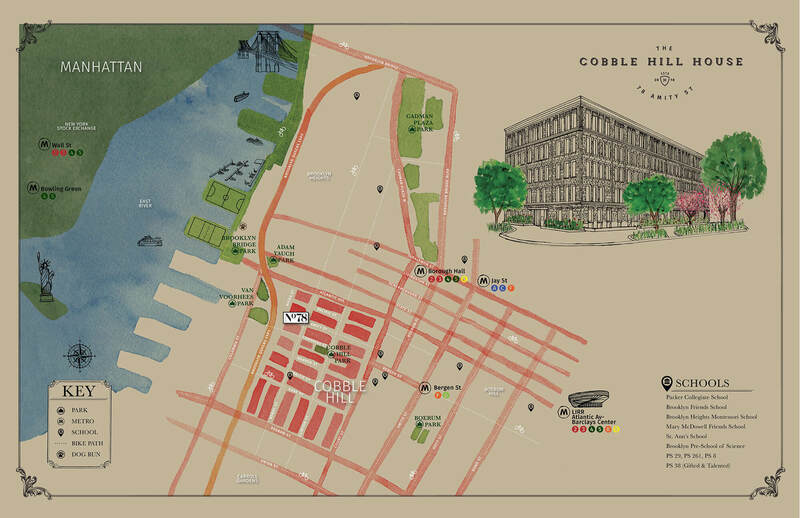 Cobble Hill is bordered by four picturesque landmark neighborhoods – on the north by Brooklyn Heights, on the east by Boerum Hill, on the south by Carroll Gardens, and on the west by Brooklyn Bridge Park. Take full advantage of the combined proximity of all areas which offer many amenities by way of the wealth of shops from global to local boutiques, cafes and restaurants, and superb connectivity. It fulfills an increasing demand for contemporary and metropolitan living. Click here to view Cobble Hill House in google maps. For commuters, Cobble Hill is minutes away from Manhattan via multiple train lines, just a few stops to Downtown Manhattan and then a few more to Midtown. Cobble Hill is a small neighborhood steeped in history, culture, character and diversity. Generations-old and new with character that provides equal reasons for long-time residents and newcomers to love calling it home. Cobble Hill has not only played a role in shaping the diversity of Brooklyn, but one of the foundations of America itself. There is a lot to be celebrated from flora and fauna to the industries of new and old. A cosmopolitan village with cultural heart. It has seen notable restorations and popularity and has truly become one of the 5 boroughs most coveted neighborhoods, with a similarity to the West Village, but considerably more quiet and discrete. The location offers the best of both worlds, with a quaint village charm that meets the vibrant Cobble Hill streets, offering convenient amenities and parks. 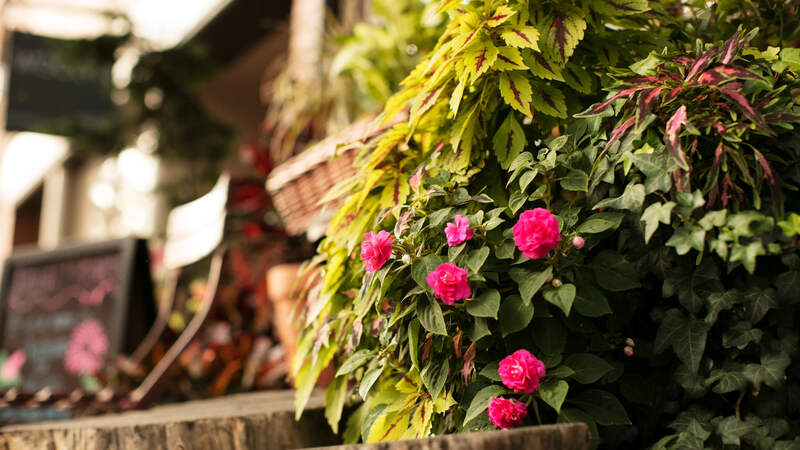 The city’s historical, cultural, architectural and environmental influences, along with a distinct richness of style, have made Cobble Hill one of Brooklyn’s most desirable places to live for more than a century. While the city is undergoing a renaissance, the peace and quiet of Cobble Hill is timeless and offers residents a respite from the daily grind. The Cobble Hill House is close to everything you could want for both modern day city life and quiet neighborhood living. Its convenience makes it highly desirable for professionals and leisure lovers alike. Also perfect for nature lovers, offering many green spaces, several of which are considered landmark sites. Cobble Hill is a tranquil oasis and a lovely location for a casual stroll. If you need to step up the pace, there are many outdoor activities you can find with waterfront views at the iconic Brooklyn Bridge Park. For the more active individuals, there’s also a wide range of both public and private sports and gym facilities. Cobble Hill’s idyllic blocks are shared by people of all ages enjoying an easy-going lifestyle. When you’re looking for a quiet place to read and collect your thoughts, stroll on over to Cobble Hill Park — it offers a nice little neighborhood enclave and is a lively weekend retreat for many of the neighborhood’s residents. Revamped in 1989 with an award-winning, European-style design, the park features a lawn for relaxing and sunning, a playground, lots of benches and picnic tables, and it is also able to accommodate community events, such as summer concerts and the area’s renowned Halloween parade for kids, adults, and their dogs. Cobble Hill features many public and private schools within walking distance. © 2019 The Cobble Hill House.